Unless you are fishing for something, this photo Nana Ama McBrown posted should not cause any stir. Maybe, the individuals who brought that part of the photo up were actually fishing, well, they caught a fish. 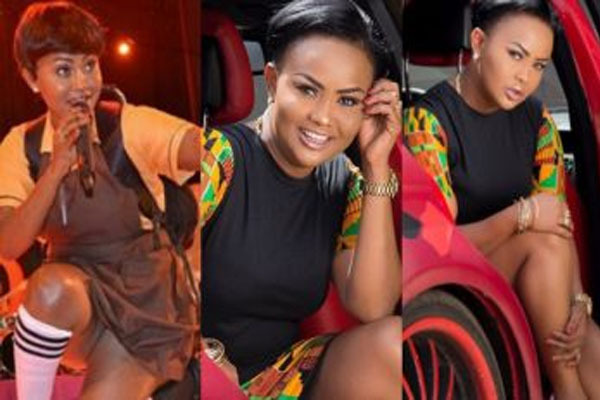 Check out the photo actress Nana Ama McBrown posted on Instagram yesterday. For most people, she decided to show more than she is supposed to, for a married person. This is not the first time her fans have been at her throat for photos she has posted on social media. So Nana Ama decided that her love for Maxwell was so deep that she had to get a tattoo of his name on her waist. They had no problems with the tattoo but showing it off was the real problem. Right in the comfort of her home, Nana Ama shared a photo but her fans felt she was exposing too much. Was she?